You must be thinking whattheheck is piggy Christmas? 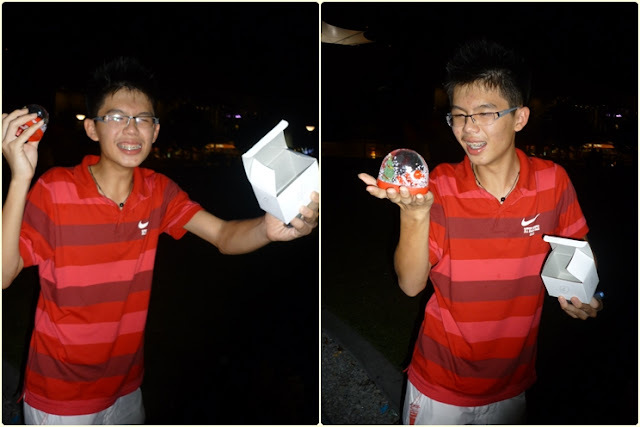 Yeah, it is just a simple Christmas party specially for our gang only, Zhuzaigang :) So yeah, the Christmas party started around 5.30 p.m. at Desa Park City. And it's time for games after sortition to get our Christmas presents! so called picnic after games ._. like couple right? :P Wait, look at the next picture. YuenChee beh tahan him & walked away but he still syok sendiri there HAHA! YuenChee's turn. She takes 989347698701 times to unwrap it! And she's done after around 15 minutes, I guess. only got one boy, haha! 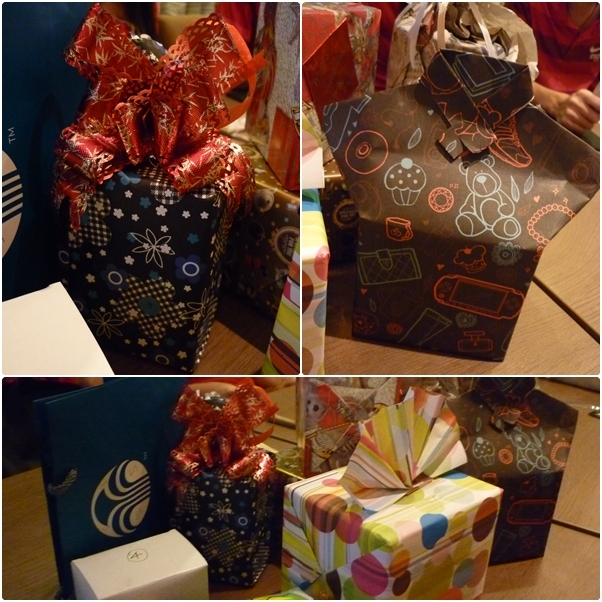 Not bad weh..yr Christmas ...very successful lo...^^ all so merry...indeed, it was a Merry Christmas! Luporti: Merry belated Christmas too! 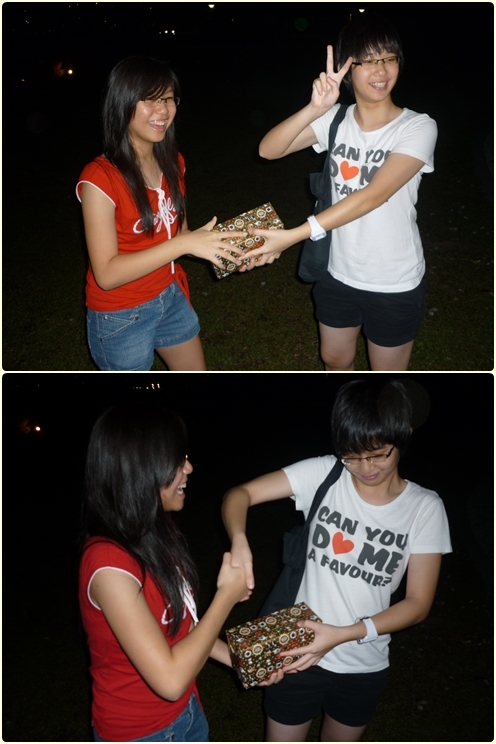 Suzanne: Hahaha no others wrapped it :) Thanks, happy new year too! Glad that u spent wonderful time with ur zhuzaigang!